We can’t and shouldn’t eat cookies all Christmas long. 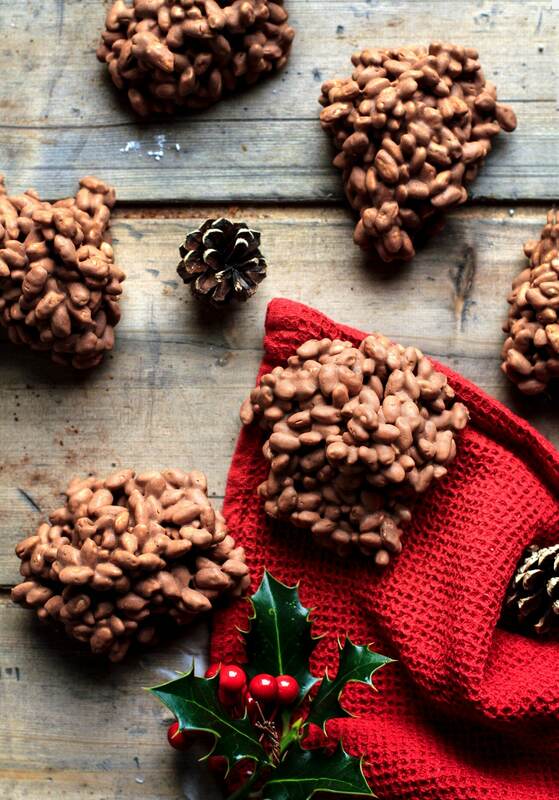 We should also switch it up a little with these Easy Christmas Chocolate Rice Puffs! They are super chocolatey, and the rice puffs give these a delicious soft and chewy texture. Christmas is the time to dig out our traditional family recipes, make some new traditions and indulge in all things sweet. 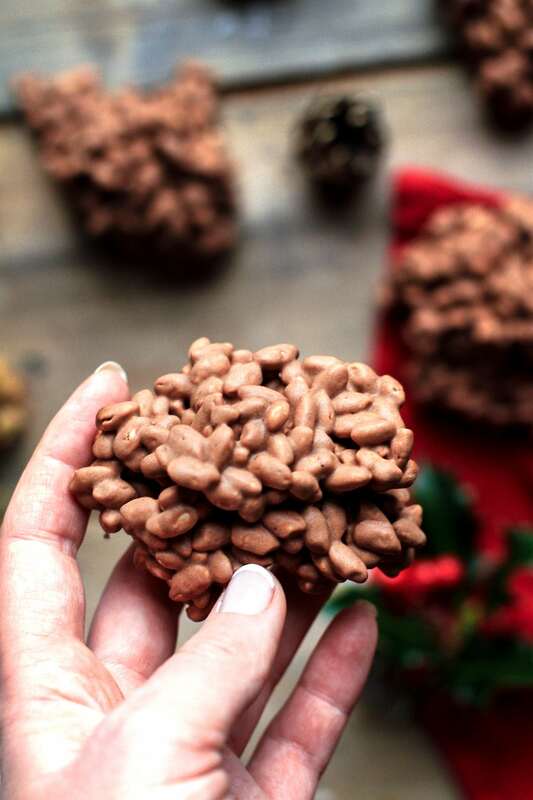 These easy Christmas chocolate rice puffs belong to the first category; it’s my great grandma’s recipe (tweaked to my immense chocolate craving). She’ll be 99 years old next year, how crazy is that! 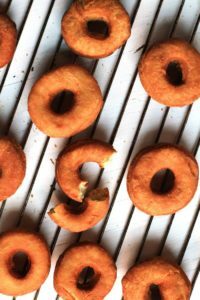 This recipe has been in my family forever, and we only make them during Christmas, so it’s the ultimate Christmas treat for me. 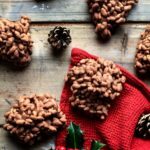 Easy Christmas Chocolate Rice Puffs are a sweet treat that is easily whipped together and perfect for make ahead. If you get a surprise visit, you will always have some delicious treat at hand. They are also gluten free making them even more versatile! You freeze these and can eat them frozen. I prefer to eat them cold but not super frozen, like 10 minutes on the counter and they are ready. Start by mixing eggs and powdered sugar until white, airy and bubbly, using a hand or stand mixer. This is called eggedosis in Norway. It is fluffy enough once you can spell OLE with the batter (in the batter) and the letters won’t sink until you have written all three letters. Melt the coconut fat / hardened coconut oil (it’s the same thing) until liquid. Cool 5 minutes before adding it to the egg mixture. Then you add in vanilla extract, strong coffee and unsweetened cocoa powder. Give it a mix before adding in the puffed rice (see under headline below if you’re uncertain about puffed rice). Carefully fold in the puffed rice. Shape the mixture into balls (or whatever shape you want). I shape them into large handfuls, but any size will do. Place them on a parchment lined baking sheet and cool. Either cool in the refrigerator or you can freeze them. You can eat them right out of the freezer, no need to thaw. Although I like to place them on the counter for 10 minutes to get a more creamy, chocolatey texture when biting into them. So, I did some research to find the perfect version of puffed rice for international recommendations. For reference, here in Norway I use this kind of puffed rice. It’s puffed rice that has a chewy texture. When I googled it, I found several puffed rice that is supposedly crunchy in texture. That will not work in this recipe. You can look in Asian markets, as it seems to be an Indian thing. But I also think you can find it at Whole Foods. By the looks of it, this looks right, don’t you think? Any kind of rice would work, so if you’d rather go for brown, I say do it. Just remember that you want that chewy puffed version. Happy Christmas bake time, everyone! Let it snow and let Christmas come. 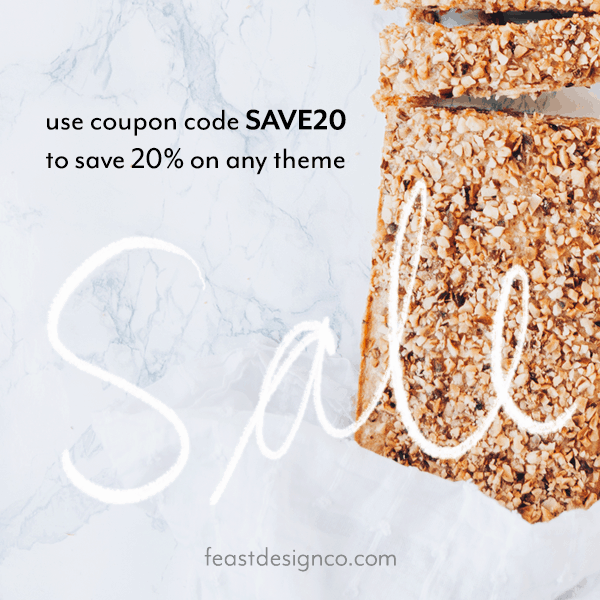 And as a special gift to your foodie friend or family member, why don’t you try Personalized Recipe Boxes from Personalized by Kate! There’s tons of personalized things that is perfect as a Christmas gift. 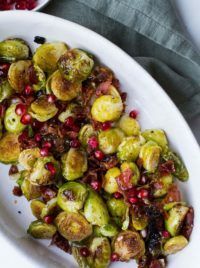 Do you have any long lived Christmas family recipes? I’d love to hear your thoughts! Get in touch, either in the comment section below, or tag me @thegingerwithspice on Instagram. And don’t forget to Pin it for later! Easy Christmas Chocolate Rice Puffs are super chocolatey, and the rice puffs give these a delicious soft and chewy texture. Perfect as a make ahead dessert. 200 gr puffed rice 7 oz. Shape the mixture into balls (or whatever shape you want). I shape them into large handfuls, but any size will do. Place them on a parchment lined baking sheet and cool. Either cool in the refrigerator or you can freeze them. You can eat them right out of the freezer, no need to thaw. Although I like to place them on the counter for 10 minutes to get a more creamy, chocolatey texture when biting into them. * This is called eggedosis in Norway. It is fluffy enough once you can spell OLE with the batter (in the batter) and the letters won't sink until you have written all three letters. ** The puffed rice needs to be chewy in texture, not crunchy. You can find it at Whole Foods or Asian/Indian markets. Norwegian: Puffet ris, all kinds of grocery stores. 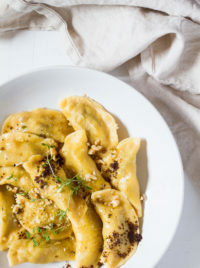 These sound easy and delicious! 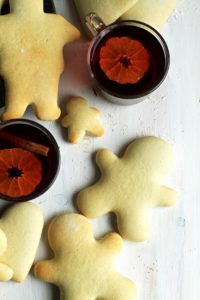 I’m going to a cookie party this weekend and I think I might have to make these! Those sound so yummy and easy! I love a good chocolate cookie and a good crunch. Sounds like this recipe is both! Thank you so much, Eryn! It’s more of a chewy treat, but you can change the kind of puffed rice to be more crunchy! Hope you’ll like them as much as I do! These look so delicious. I’ll have to make these soon, anything that have chocolate , puffed rice and no bake. Yum. I love these. My family makes them for christmas and we call them “reindeer poop” to freak the kids out. Omg I love that name! I will begin calling them reindeer poop too! Yeah, that tend to happen to me to! These look delicious and seems as though they may be easy to make!!! 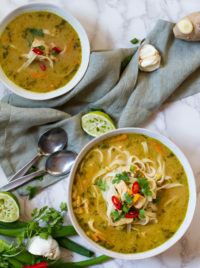 I will definitely have to try this recipe! Oh yes… the holiday baking. I have my list of ingredients to buy. Maybe I will have to add one more treat to the try. These look so addictively good. Oh I think you should! I always have a list of things to make for Christmas, but each year it gets longer (as I think it should). There are so many interesting Christmas treats out there. No my great grandma is 99. My grandmother’s mom. Anyway, thank you so much. It is such a delicious and easy treat to make. I definitely always eat too many of these during the holidays. What a fun treat to make. I love how different they are than all the other Christmas goodies. 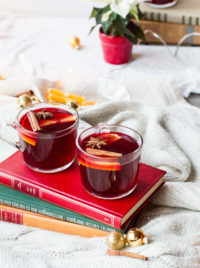 Can’t wait to make them for our neighbourhood holiday party next week! I love a little variety in my Christmas goodies. Thank you so much! We make something similar to this and they are one of my favorites! This reminds me to get them on my treat list this year! Enjoying some my family’s old cookie recipes is definitely one of my favorite pastimes during the holidays! We love baking so many different kinds, and I’ll have to add this to the list. Yes, I completely agree. Thank you so much! I’m not sure I can find puffed rice here in Italy but these look yummy! Would love to try them! If there is an Asian store (or Scandinavian) you may find it there. I didn’t realize this was a very Scandinavian thing! I love puffs! I mean if I had puffs and cookies to choose from, it would be puffs!! 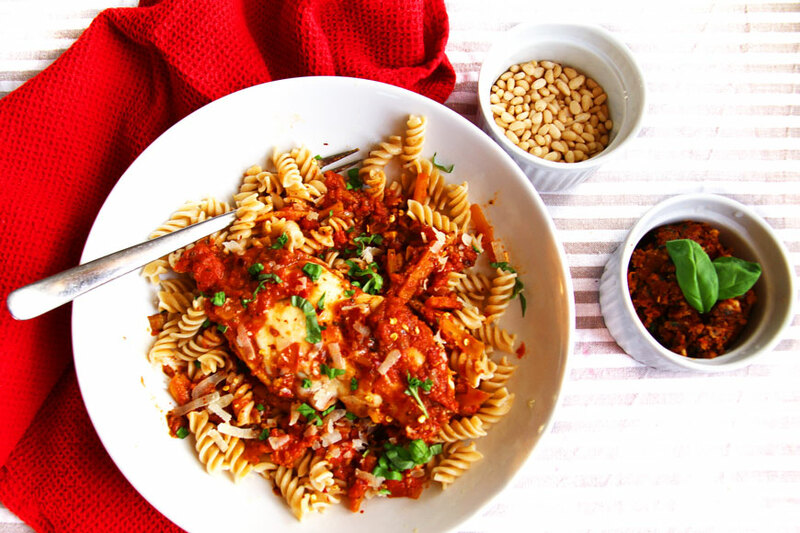 And your recipe looks so good that I do want to try it soon! 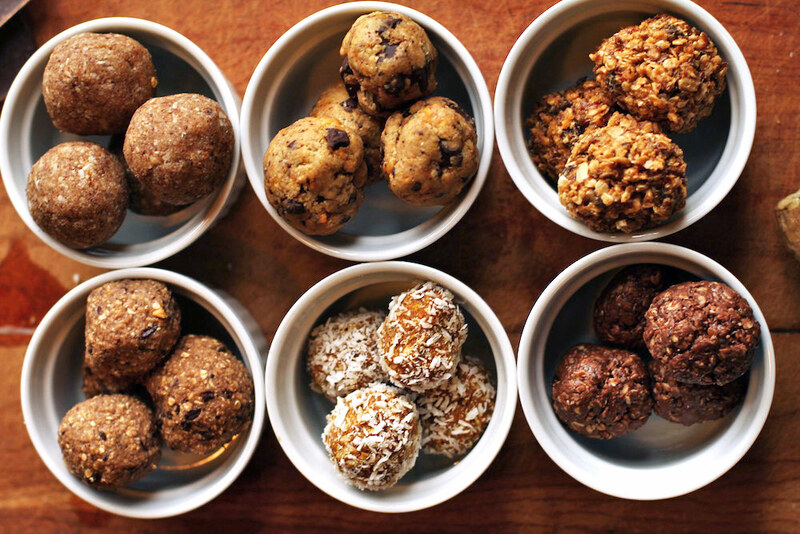 I’m all about no bake sweet treats so these are right up my alley. They look incredible! Thanks for sharing! Thank you so much Krista. Hope you’ll like these! 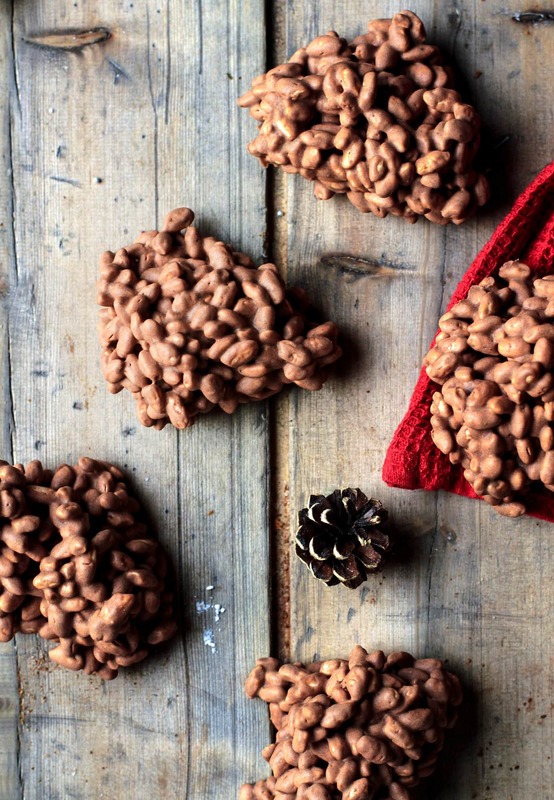 These chocolate rice puffs look perfect for this holiday season. They will be great for serving at any party or take to school for a special classroom treat. Thank you so much. 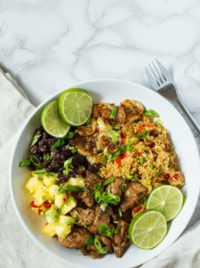 This can easily feed a crowd! These are exactly what I need to make for my children and our holiday parties. I like your recipe! I am a die hard chocolate fan and I want those chocolate rice puffs now. They are so so tempting, would love to try them soon. I really hope you can find the puffed rice, because this is seriously delicious and ridiculously easy to make. Thank you so much, Renu! 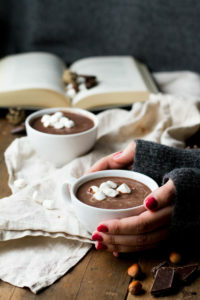 I know I would definitely love a Christmas season in Norway – especially with delicious treats like this one! though it would also be a lovely snack for any time! I see a lot of my Christmas related treats are Norwegian, so I guess I feel pretty happy about a Norwegian Christmas too! Thank you so much.